Federal House of Representatives, representing the Jama’are/Itas-Gadau Federal Constituency of Bauchi State under the platform of the All Progressives Congress (APC). He attended Barewa College Zaria, where he obtained a General Certificate on Education (GCE) in 1978. Thereafter, he attended Ahmadu Bello University Zaria where he graduated with Diploma in Accounting in 1983. From there, he proceeded to the University of Jos, studied Economics, and graduated in 1992. 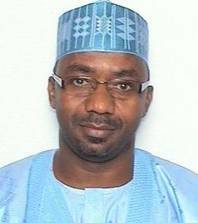 In the year 1999, Isa Hassan Mohammed was elected into the Federal House of Representatives, to represent the Jama’are/Itas-Gadau Federal Constituency of Bauchi State under the platform of the All Progressives Congress (APC). He held the position until 2003. He then returned to the House in the year 2011, and was re-elected in the year 2015.